Guess who is talking about this blog . . .
Got it? It is Argus Leader. In its article entitled 'An Artist's Touch', the newspaper writes about Sioux Falls Christian Schools students art project with me. Students are also interviewed about the project - it is quite a interesting read! This week I had the students do still life. I wanted them to lower their zealousness and really pay attention to negative and positive spaces in their art. My goal was not to have them create but project what they see into their canvas. This is associated to hand and eye coordination. Sometimes it’s very good to work with realism because that is what a good artist is measured by. 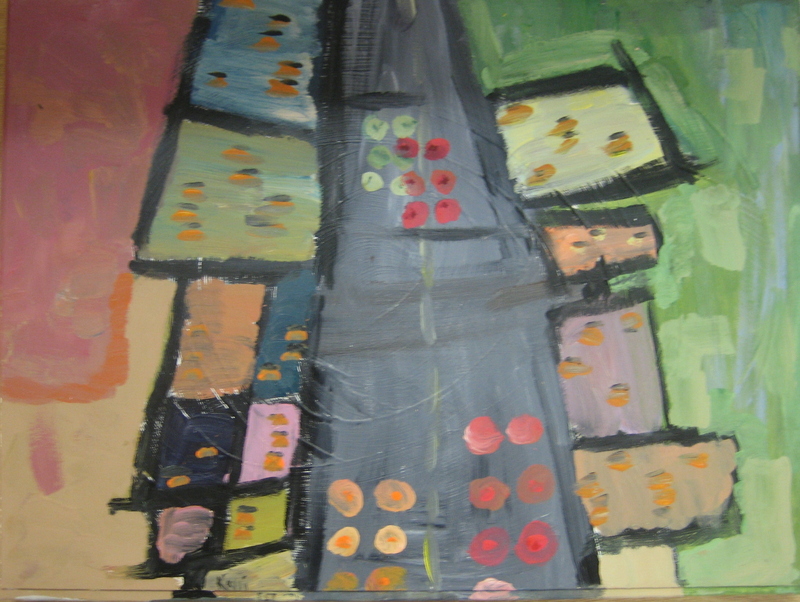 In order to do abstract you have to start with a strong foundation of realism. The reason why we did not have realism in the groups was because of the scarcity in time. Nevertheless, I wanted the students to at least undergo this concept. I have the utmost appreciation for this group. The fact that they all admitted to needing help was a good step for them because they are then able open up themselves as a student. I also had a good appreciation for the group because they seemed like they were always prepared to learn and do what ever it takes to improve or grow. Everyone knows that when you start to see things that could improve and you go about achieving that, you get steps closer to a better understanding which leads to perfection. This concept is not necessarily for art only, but life in general. Nevertheless, I have a great appreciation for all the groups because they went above and beyond my expectations for them within this short amount of time. I have seen many diverse techniques, colors, forms, freedom, knowledge, feelings, joys, ideas, concepts, passions, and powers in this project. From my perspective, all these elements combined gives growth and brings their art into different and innovative levels. When I was watching them leave it hit me hard that I probably was not going to have opportunities to work with them again after May 2nd. I had shared with them a part of my self that was personal as well as the measure of love I have for art. It was humorous because this made me feel like they were walking out of the door with my heart on their backs in place of a backpack. This gave me an idea for my next painting though. For quite a while, I was involved in a project in teaching students from the Sioux Falls Christian School. 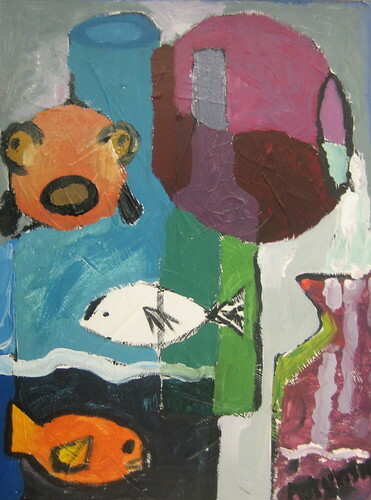 The main themes of the project were Jazz Art, Mural Art,Titian Art and art from children’s perspective. Eighteen students from the school were attending a class in my studio in Piper’s Art Decor and customs Framing and took classes in the elements of Jazz art, the techniques , styles and the challenges involved. 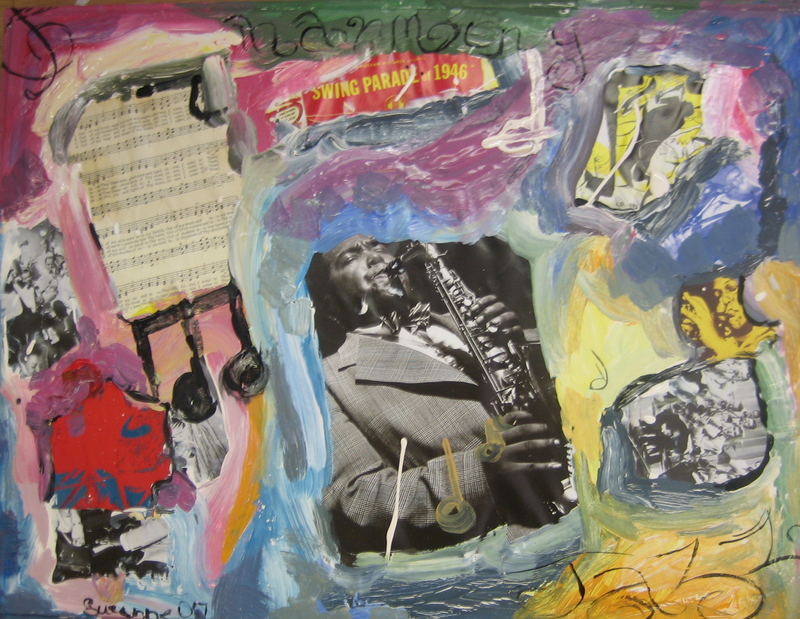 They worked with color, form and ideas to create their own pieces of Jazz art. As the saying goes, challenging art challenges not only the viewer but its maker. Art that falls short often does not because the artist failed to meet the challenge, but because there was never a challenge there in the first place.Hard work equals amazing artwork. This is the reason we are so confident in this project. Hopefully, this project will capture the attention of all its viewers and relate to them on a personal level, some way or another. I believe that this show will not benefit only the students but potentially the whole city of Sioux Falls. It is a good experience for the students because it teaches them the vitality in viewing things in different perspectives. Also, it gives them a musical sense for jazz which then can be formed into ideas that can be incorporated into art. For the city of Sioux Falls, It gives an awareness of jazz and the change that it has taken in the last years, even in art. The reason why this conceptual art is different from all the others is because there had been much research done by more than one person and many ideas brought forth. This means that the art has more of a widespread feel for the theme and it is able to give more of a sense of optimism and hope for all the viewers. Art is measured in the power of the creativity and even the creator. This power though, is determined by the viewer itself. When there is more than one creator working on the same concept, it gives the viewer infinite views and perspectives which has the potential to open up their imaginations into different dimensions of art. I believe that it will be good for the art community in Sioux Falls to see this because they will then have the opportunity to view a new kind of art and idea grow from within their own community. For the students, we are taking them into new levels of art in their own individual styles and showing them how to find themselves in art. This not only benefits them in art, but in life. It shows them the importance of having confidence when approaching new ideas and new concepts which is essential to any person’s life. This time, I have been working with a second group of students helping them manifest their own ideas into their art. At first, some of the students had a difficult time choosing and grasping their ideas in such a short amount of time. My objective in this is to prepare and train the students to create ideas and make decisions immediately. This gives them the strength to take what they have in their minds at that time and find a way to apply it in their art. At the end they created beautiful pieces and developed themselves into a new level of art. The main challenge they have now is forming ideas and developing quick techniques.This can come with more experience and more dedication. 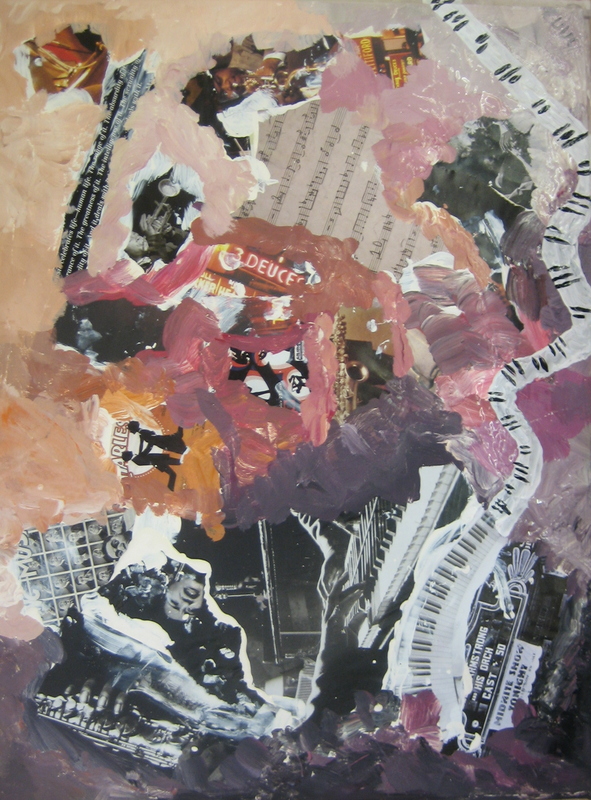 It also pays to read books about periods of art and artist biographies - to learn from their experience.There are a lot of resources out there to refer to on abstract elements in art. But one of my favorites is Art and the Creative Consciousness by Graham Collier. Also some of the artists you may refer to for inspiration ( these people have always inspired me) are Jackson Pollock, Joan Miro, Paul Klee, Arshile Gorky, William DeKooning, Jean Dubuffet, Wassily Kandinsky and Piet Mondrian. I appreciate the students very much. They have showed tremendous effort to learn and it paid well. 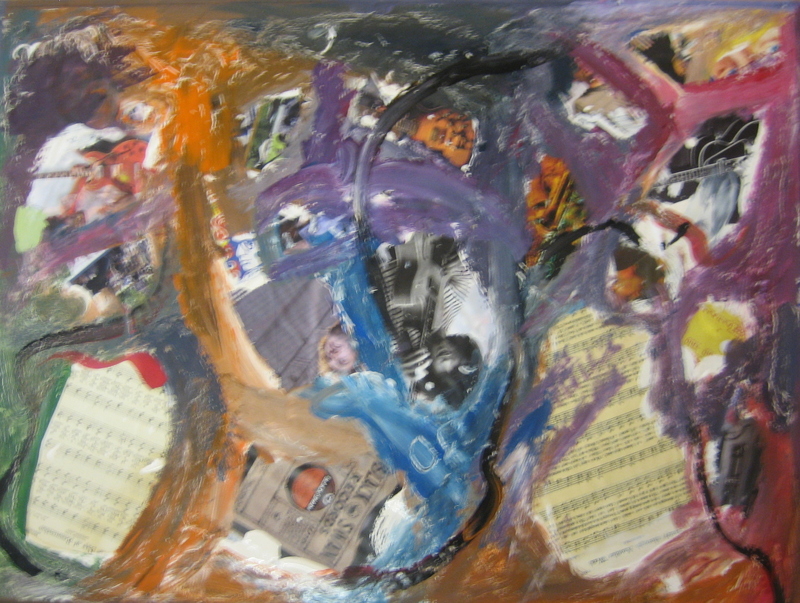 third group-(jazz and child art), originally uploaded by eyobart. The group had a lot of fun incorporating who they are in this median. In the last couple of groups the relationship that I had with the students was a teacher/student relationship. This group was surprisingly different because it had a friend in art relationship. 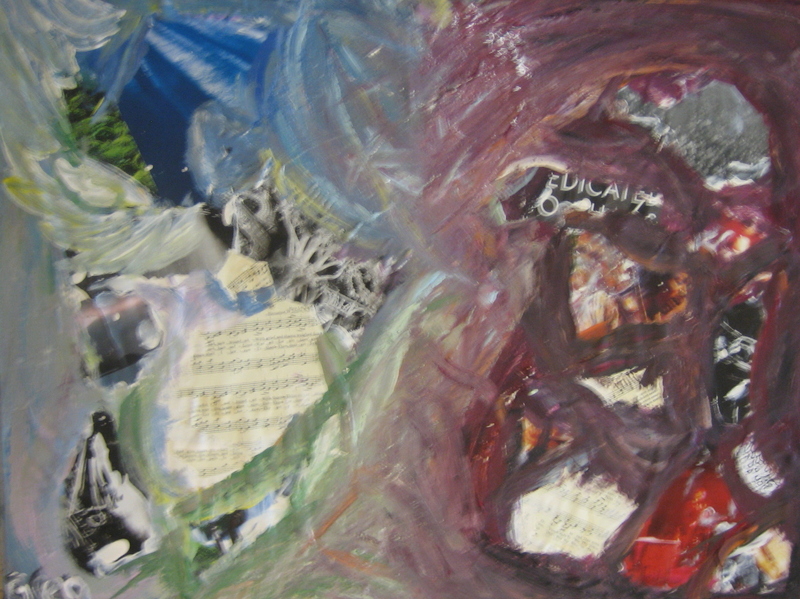 This benefited the group’s art work because it made them open up and easily put them selves in their art work. It also helped me because I was more comfortable opening up my ideas to them. I appreciate the school for giving an opportunity to the students to work with me. I am honored. They have an incredible amount of creativity and originality which is essential in art. 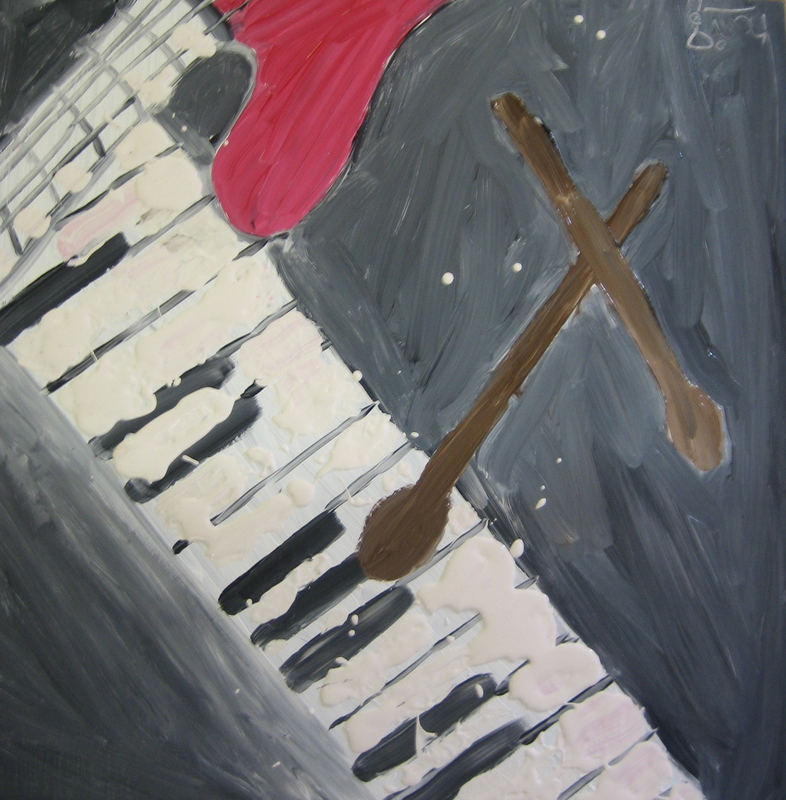 The jazz art we did today was able to help the students more and give them a musical sense and element which is then able to create a variety of musical concepts and ideas. Some of the students did more in their art then what I had expected them to because of this. When I was first showing the students how to paint with this musical concept I was very detailed but as the day started progressing I slowly let them work with the techniques I had taught them. In this, they were able to grow and show progress in their artwork. Also, I wanted to give them a chance to create their own techniques from the bits of pieces that I showed them. For me, I believe an artist is similar to a farmer. A farmer throws seeds on the ground and has faith in what is able to rise up and then finally create its own seeds. In art, the seeds represent the ideas, concepts, passions and medians that is given to a persons mind and soul. When this seed is planted firmly it have the potential to create its own ideas and concepts. I am pleased that Sheree and I had an opportunity to collaborate all of this.